It’s time to Get Your Ears On at the Disneyland Resort! 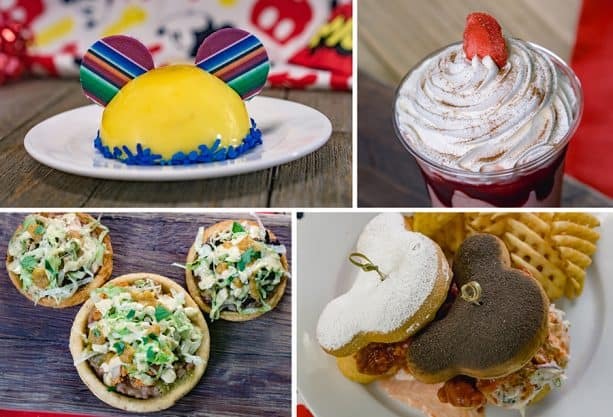 We’re celebrating Mickey and Minnie with tons of fun food, so I’ve put together all of the information you need in this swell Foodie Guide. 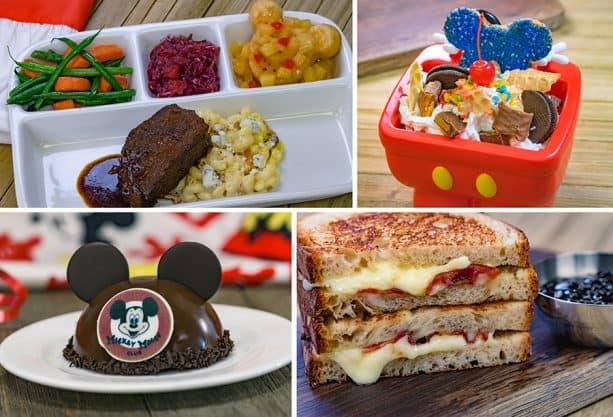 There are new eats and treats all across property, and they’re all available starting Jan. 18 until May (unless otherwise noted). Some of these items will also be available for mobile order via the Disneyland Resort mobile app. 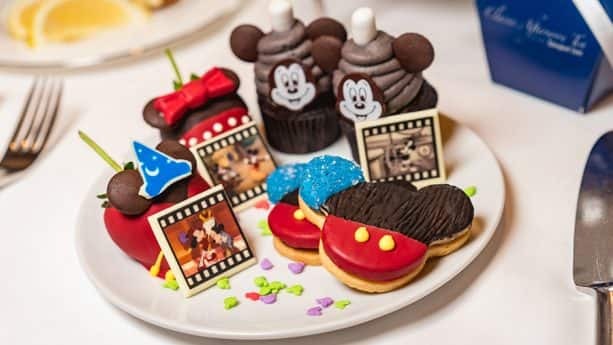 So, without further ado, here is our official Foodie Guide to Get Your Ears On – A Mickey and Minnie Celebration at Disneyland Resort! 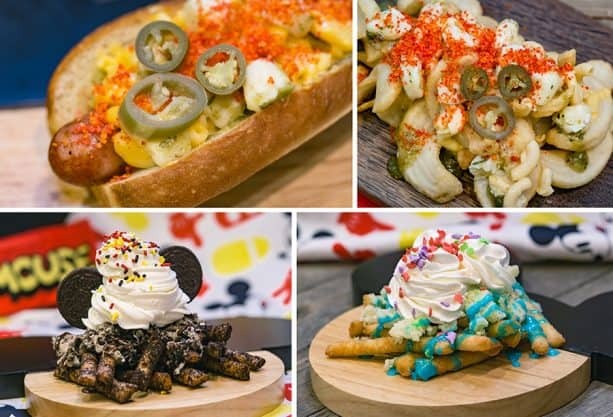 Starting on January 18, Chef Goofy is serving up a heaping helping of fabulous new themed eats, celebratory take-home swag, décor, and special appearances by your favorite pals – Mickey and Minnie! 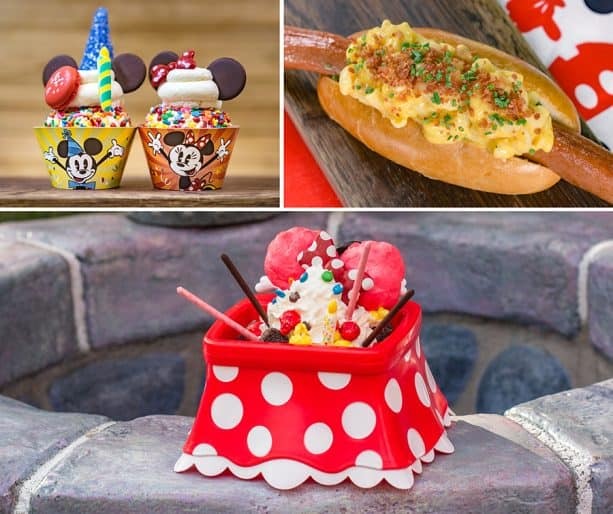 In addition to five all-you-care-to-enjoy stations featuring a variety of tasty bites, you’ll enjoy several unique dishes including Steamboat Chili, Mouse Ear Cookies, and Celebration Cupcakes. 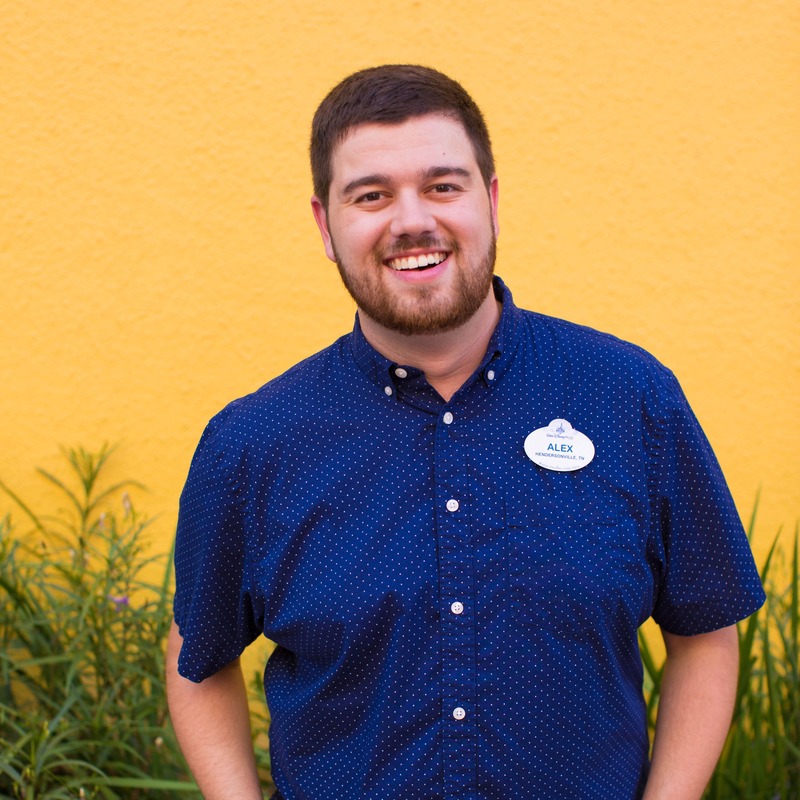 Reservations are highly recommended, and character experiences and menu items are subject to change without notice. To make reservations, visit the Disneyland Resort website or call 714 781-DINE (714 781-3463). 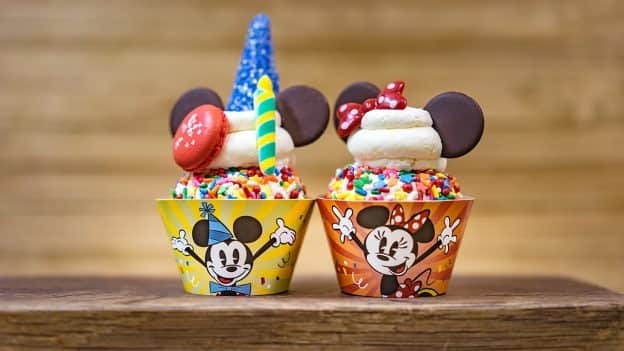 Mickey’s Tea Party Celebration occurs on Saturdays and Sundays and every Thursday in March from 12:00 noon to 3:00pm. Reservations are highly recommended. For more information and to make reservations, visit the Disneyland Resort website or call 714 781-DINE (714 781-3463). Visit the Disneyland Resort website for more information on Get Your Ears On – A Mickey and Minnie Celebration. The lack of allergy friendly snacks are surprising. Not even a way to figure out what is GF or not. 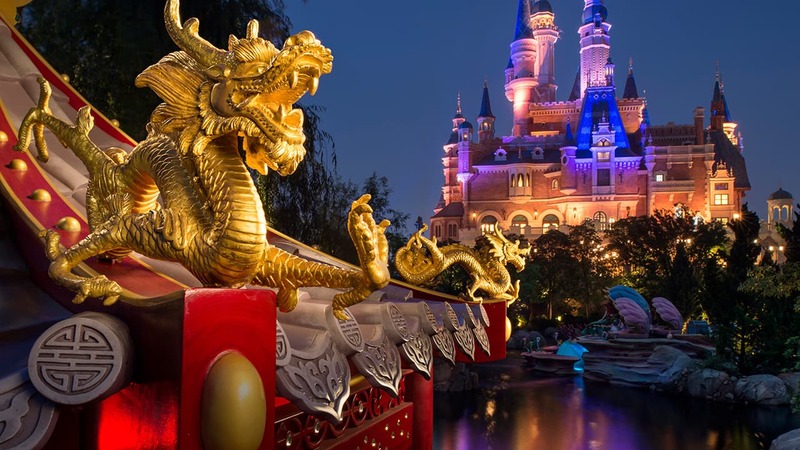 Get on WDW level, DLR! 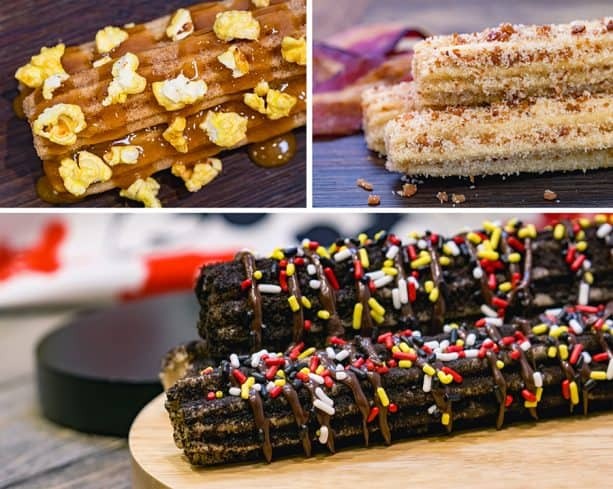 Are the churros in Disneyland not available until a certain date? Or have they changed the ones they’re having? The one by haunted mansion is still a purple churro. And the one by thunder mountain is a chocolate one by there is no sorcerer hat – it looks like it’s a Valentine’s Day theme. Also there are no churros listed in Disneyland on the paper food guide in the parks. 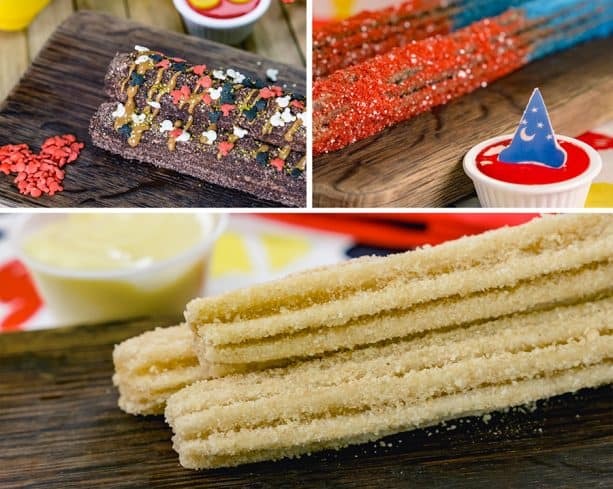 Alex, are the Disneyland churros you posted going to be available? And if so, when might they be? Is this happening all year or for a limited time? I would love to know if anything is gluten free as well! I have a mild wheat allergy so processed in the same place is fine, I just can’t have wheat as one of the ingredients. Thank you! 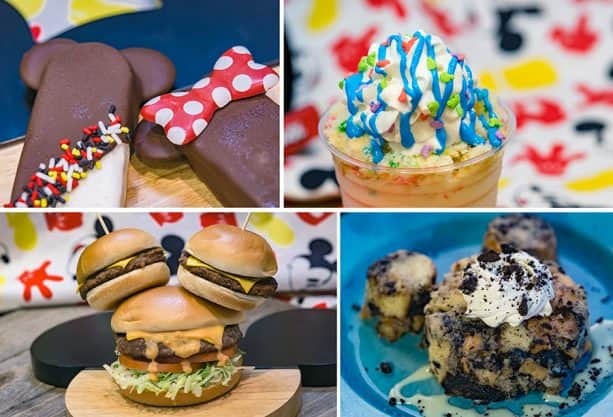 What is that dessert in the Minnie Mouse skirt? I already have my list! I can’t wait to try some of these items out. The team has really outdone itself. Is there a comprehensive list of the gluten free options? Or do we have to go to each location to find out. Is there anything here that is gluten-free? 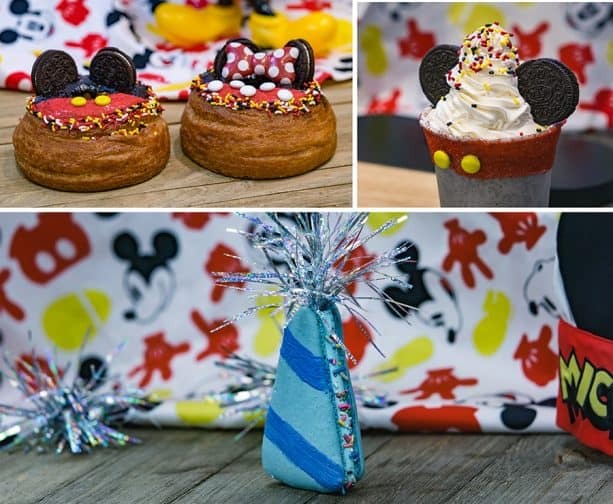 Maybe the Jolly Holiday Mickey Mouse Club hat dessert? My hubs and I are excited to get the Vegan Hot Diggity Dog!